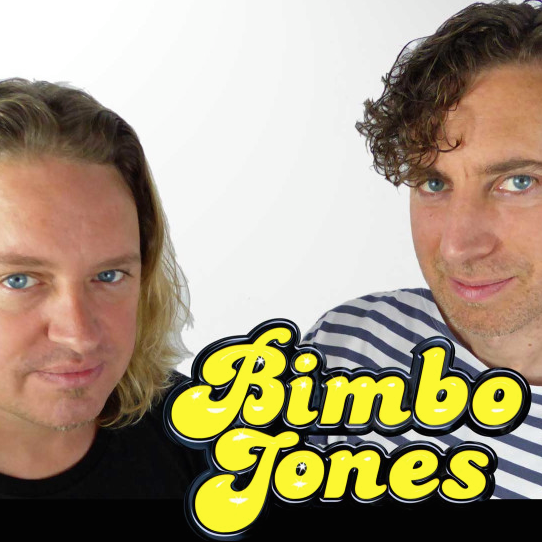 Bimbo Jones (the band) are a UK-based dance music trio, made up of studio partners Lee Dagger and Marc JB – also known by their alter-egos Dead Stereo & Element – and singer/songwriter Katherine Ellis. Lee’s background lies in DJing, which he was drawn into in the early-nineties after hearing the likes of Sasha, Carl Cox and Massive Attack at those now infamous free parties. Meanwhile, JB started out playing thrash guitar in underground clubs, before becoming the accomplished multi-instrumentalist he is today – he can often be found playing live with his chill out hip hop band Jacuti. Mark & Lee’s unique blend of talents have proven to be the basis for a successful partnership remixing over 50 tracks including the likes of Pink, Janet Jackson, Usher, Deep Dish, Annie Lennox as well as more recently Alphabeat’s ‘Fascination’ and ‘10,000 Nights’, Britney’s ‘Piece of me’ and Ultra Nate’s ‘Give it all you got’. They were also co-producers behind the Leo Sayer-sampling Number One ‘Thunder in my heart, again’ by Meck. However, it was only after the pair’s introduction to South London songstress Katherine Ellis that Bimbo Jones the band was born and work began on material for an album. Katherine’s extensive credentials include touring with Roger Sanchez, four chart hits with the Ruff Drivers and work with Dave Lee under his Raven Maize guise. Summer 2008 also sees the release of her collaboration with Grammy-winning production duo The Freemasons on a track she wrote called ‘When you touch me’. Her vocals have also graced more underground anthems such as ‘Shiver’ by Lee Coombs, ‘Salty’ by Dylan Rhymes and the big club hit ‘Insatiable’ by Mark Knight. She was also co-writer on the massive M&S presents The Girl Next Door ‘Salsoul Nugget (If you wanna)’.